Come on, flip the pickle, Morty. You're not gonna regret it. The payoff is huge...I turned myself into a pickle, Morty! Boom! Big reveal: I'm a pickle. What do you think about that? 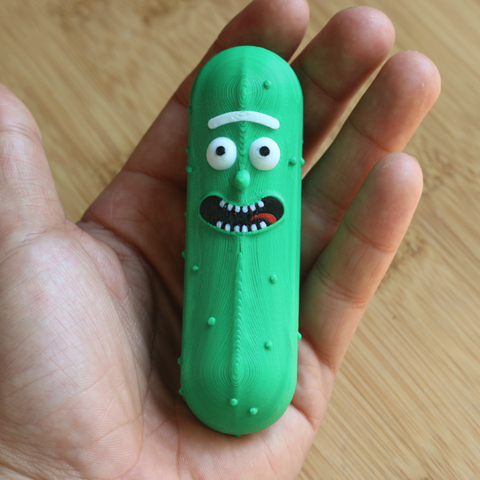 Print your own Multi-Color Pickle Rick and take on the Agency. Pickle Riiiiickk! Offset model a few mm above the bed.